✔This will keep your family SAFE. It can also be used to cover your body and act as a heat shield. No training needed, even kids & elderly can use it. ✔Super versatile. 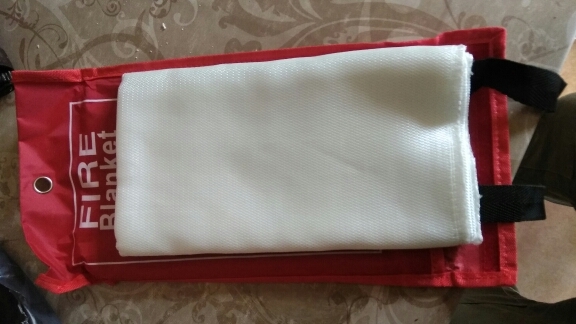 Ideal for the kitchen, restaurants, fireplace, grill, car, camping, rentals and so on. And because it is light and compact, you can EASILY grab it at moment’s notice. 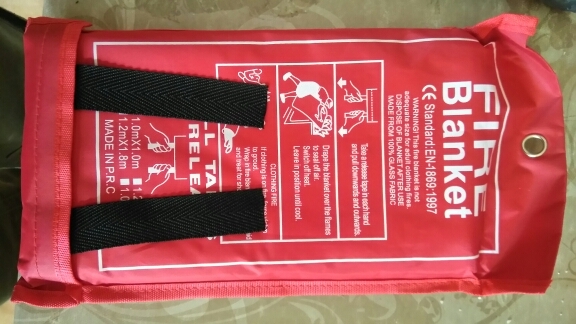 ✔The Anti-Fire Emergency Kit is unlike a fire extinguisher, it doesn’t create a mess after extinguish a fire. 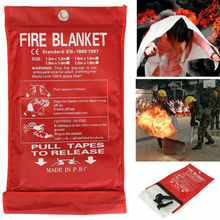 Also, it is easier and lighter to use, you just need to put the blanket over the fire. It is a NECESSARY equipment in your house. Can be reusable. ✔Cheaper than a fire extinguisher & has no maintenance fees. 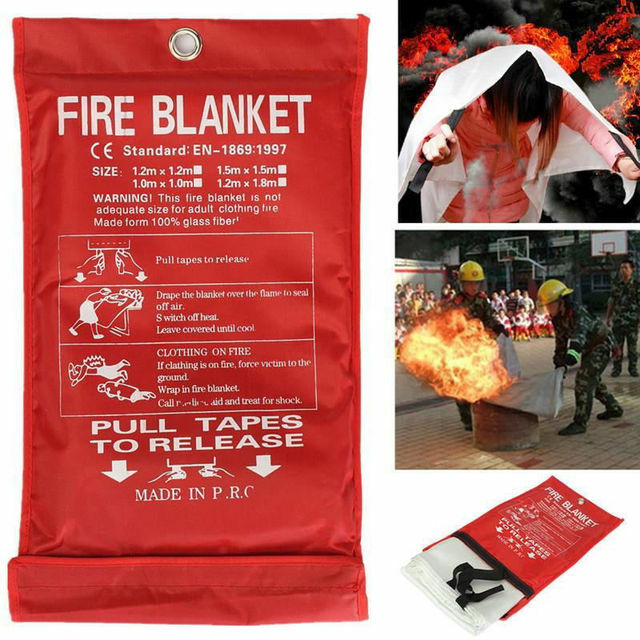 This fire blanket is made of heavyweight, flame-retardant fiberglass providing protection to equipment and work areas from damage from sparks and spatter. It is the perfect fire safety product for kitchen fires involving incidents with items such as chip pan fires. 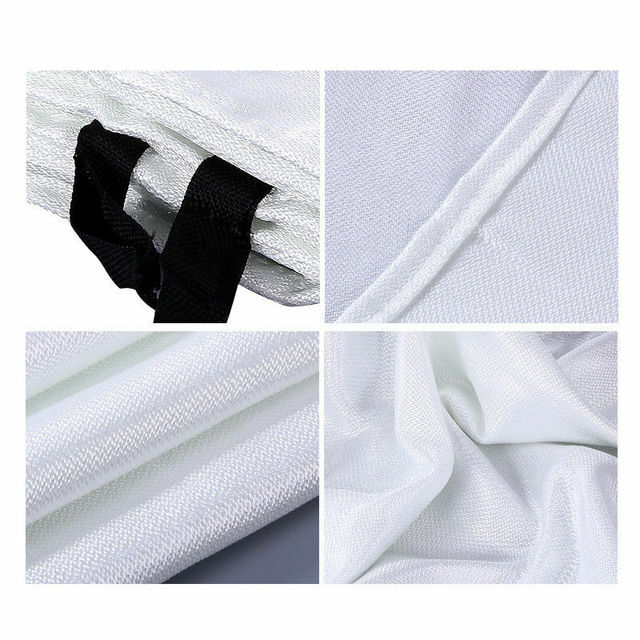 Made of heavyweight, flame-retardant fiberglass. High quality, CE EN1869 1997 Approved. Durable soft case designed for easy mounting & fast deployment. 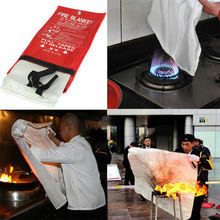 Suitable for the small fire in office, car, kitchen, restaurant, etc. Our kitchen mess after a minor grease fire melted the bottom of the microwave. The fire started and was out in about 90 seconds while we stood right there trying to put it out...meanwhile the microwave door plastic melted and splattered the whole kitchen with tarry greasy messes. Ruined lots of pots and pans, ruined our microwave, and the fire extinguisher dust ruined our coffee pot and toaster. We spent about $600 replacing stuff and on cleaning products, plus about 20 hours scrubbing soot, dus(, and molten plastic off ceiling, walls, cabinets, stuff in cabinets, counters, floors, stuff in the next room over.....just an awful mess, and totally avoidable. If I had known these existed and thrown one over the stove instead, problem solved. Now I know too late, save yourselves the trouble! 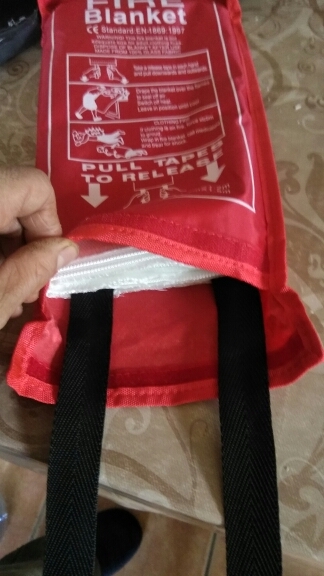 I love the packaging of these fire blankets - easy to use and understand, even in an emergency. The blankets were delivered on time, and I appreciated the prompt delivery. Having one of these in the bedroom and one in the kitchen gives us greater peace of mind - even though we hope we never have to use them. Exactly what i needed. Fast shipment also.